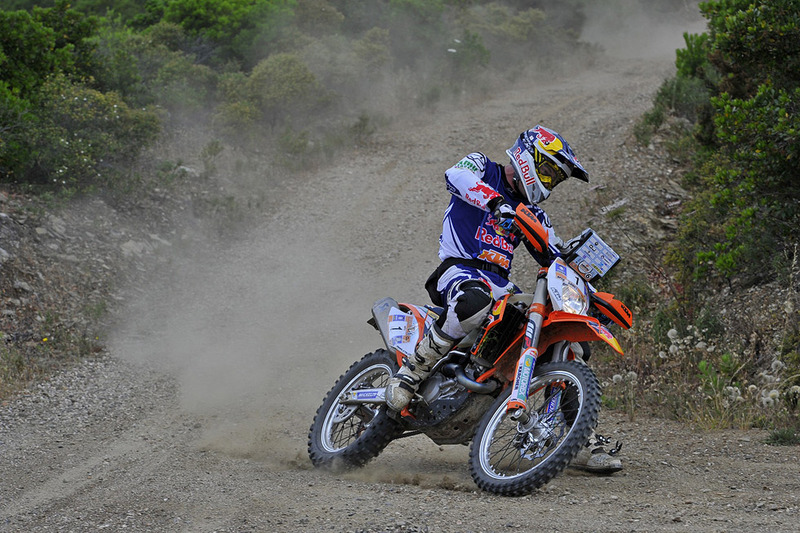 KTM factory rider Marc Coma took one step closer to victory in the Sardinia Rally on Monday, finishing fastest in both timed specials in Stage Three. 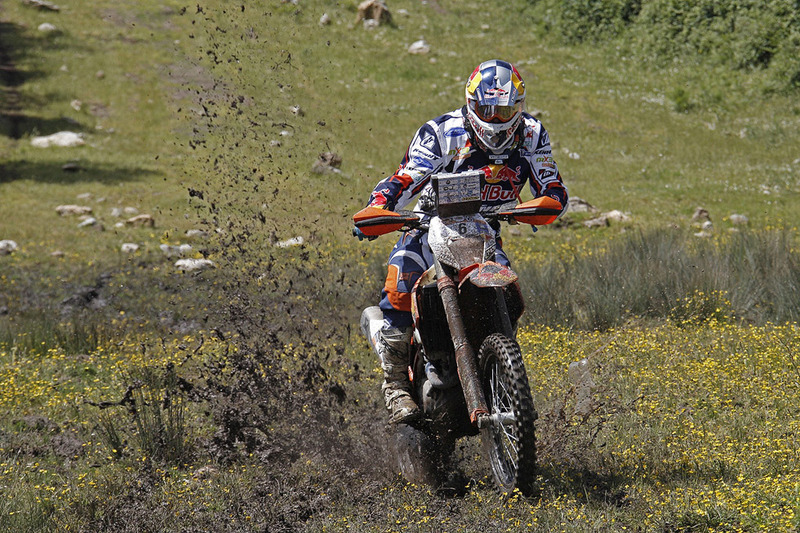 The Spanish rider and multiple Dakar winner goes into the penultimate stage on Tuesday with a five minute advantage over his arch rival Cyril Despres. Riders were out on the track on the Italian island for 293 km on Monday following Sunday’s marathon stage where they were not allowed any mechanical assistance overnight. 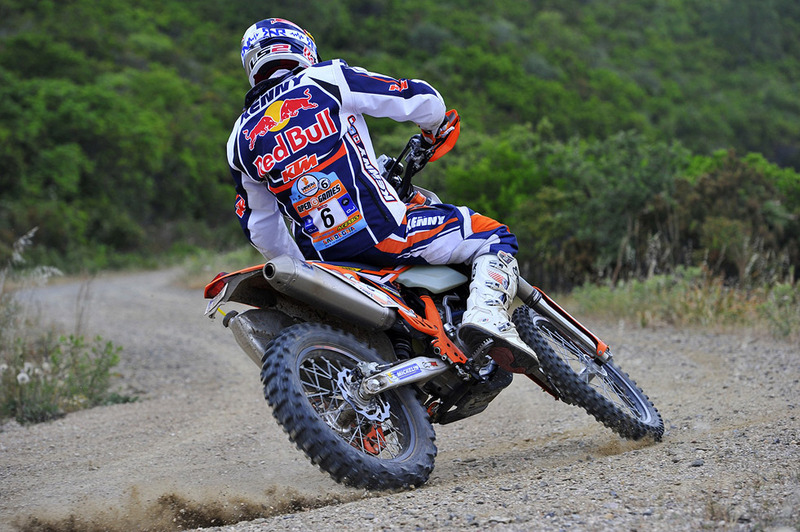 Taking care of tires on Monday was therefore an issue because they were the same that riders used on Sunday. 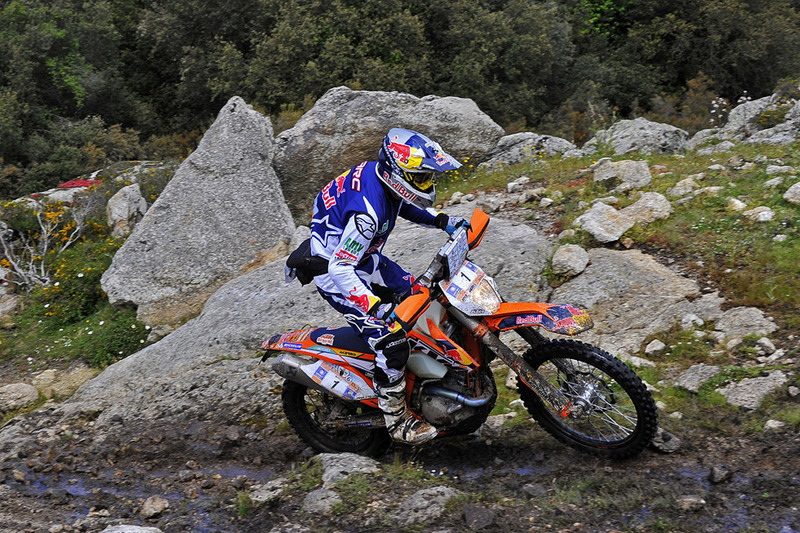 Marc Coma: “I am very happy because I didn’t make any big mistakes but today was very difficult. 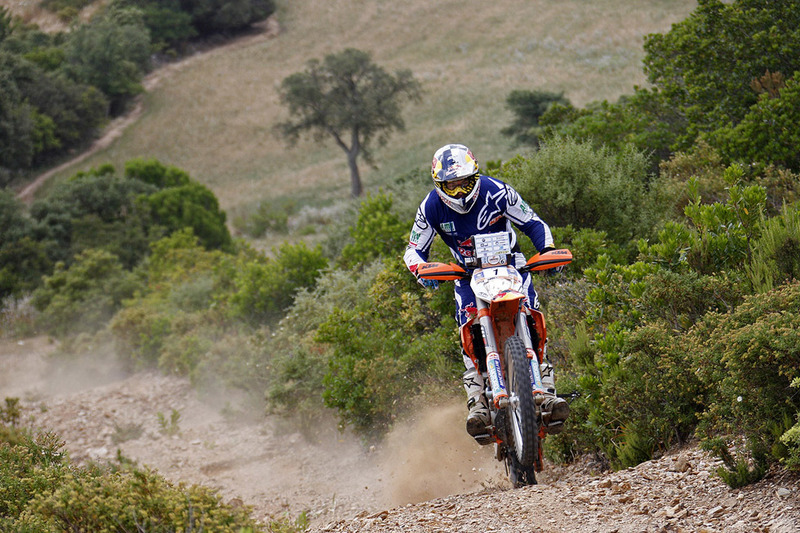 It was necessary to stay very focused because of the worn tires and you could say that the last part we rode when the tires were really finished.” Coma retained his lead in the aggregate times after both timed specials on Monday – the first of 115 km and a shorter second special of 55 km. 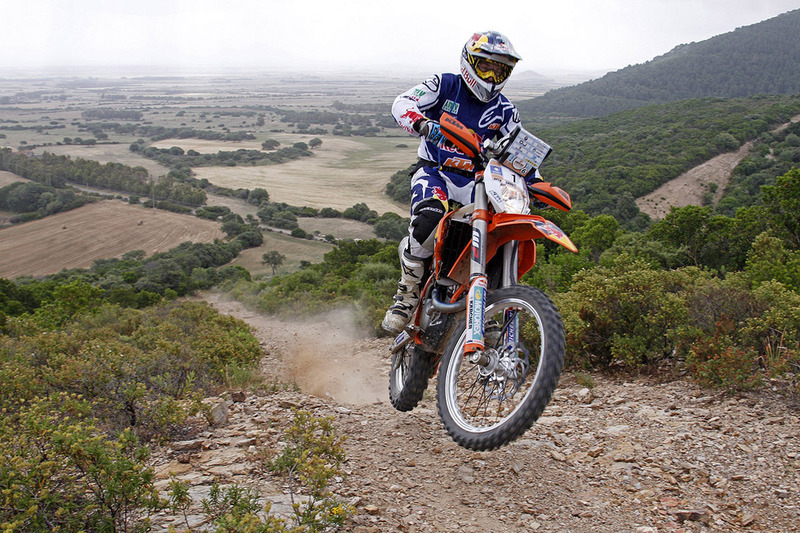 The opening days have included a lot of navigation and both Coma’s factory teammates, Ruben Faria of Portugal and Poland’s Jakub Przygonski have admitted that the terrain and the unseasonal cooler weather has made it difficult. Faria is currently ninth and Przygonski is thirteenth. The weather is set to improve on the final two days of competition. Riders travel from Arborea to Sa Itria on Tuesday over a distance of 303 km, crossing to the opposite side of the Italian island. 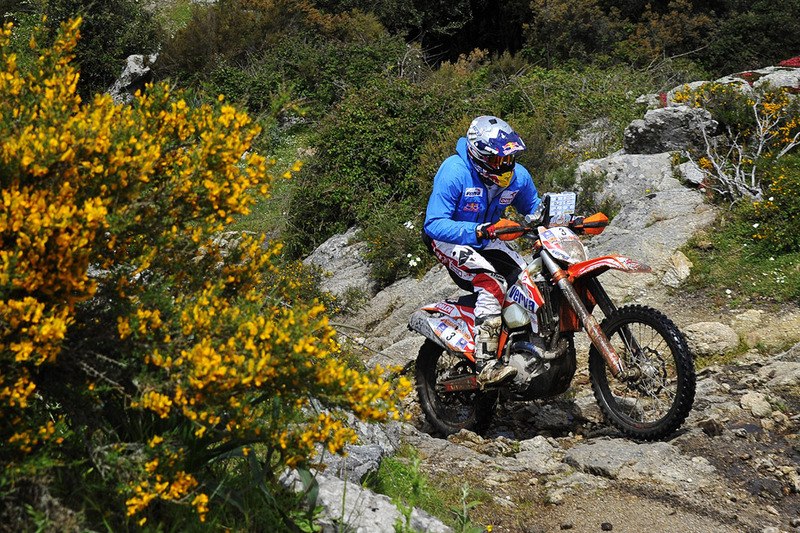 “We cross the mountains and again it will be very stony and very technical,” Coma predicted. There will again be two timed specials of 120 km and 82 km. 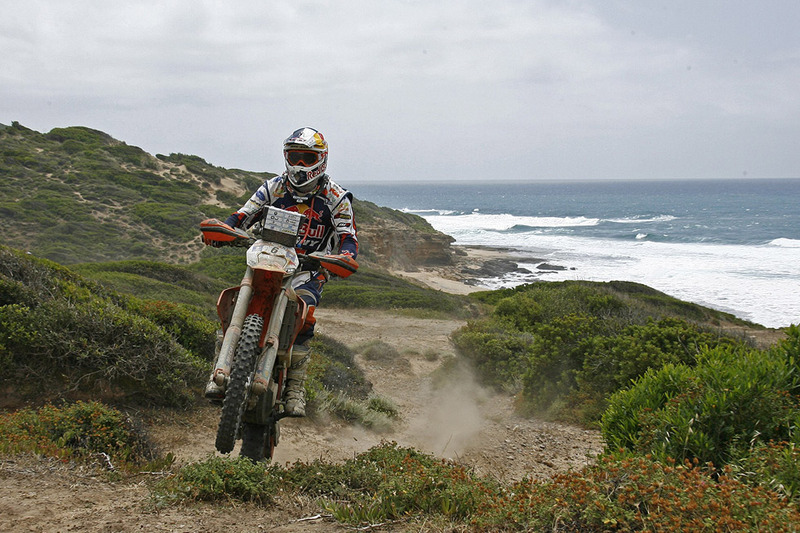 Organizers have also ensured that the race will go down to the wire with the longest stage of the rally on the final day Wednesday. 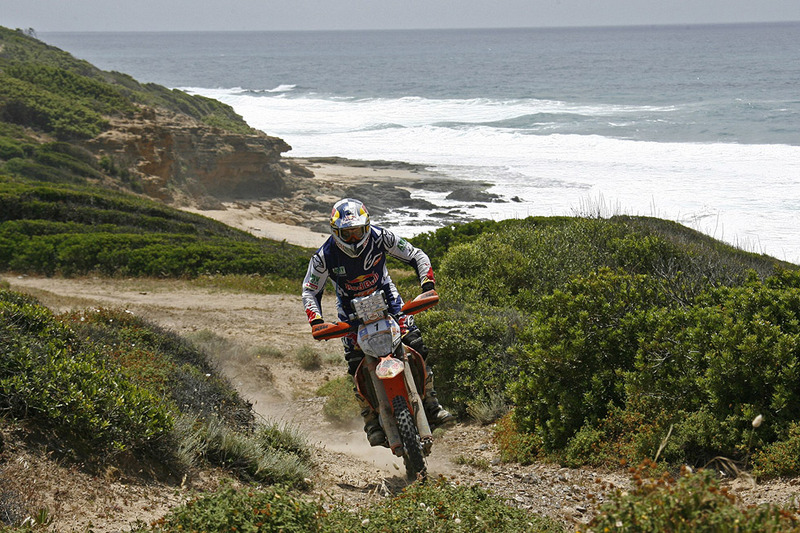 This will include one long, 211 km timed special before they reach the finish at San Teodoro. 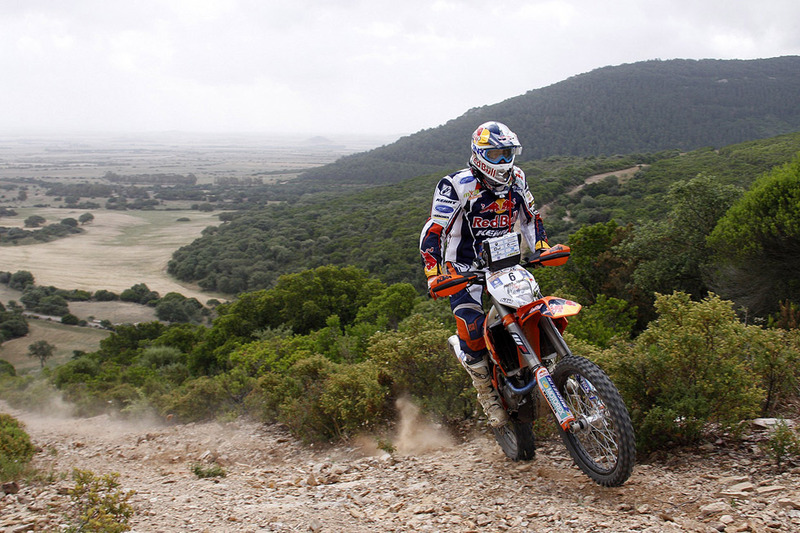 The Sardinia Rally is part of the six-leg 2013 World Cross Country Rally Championship series and Coma, the reigning World Champion is looking to further extend his points lead. 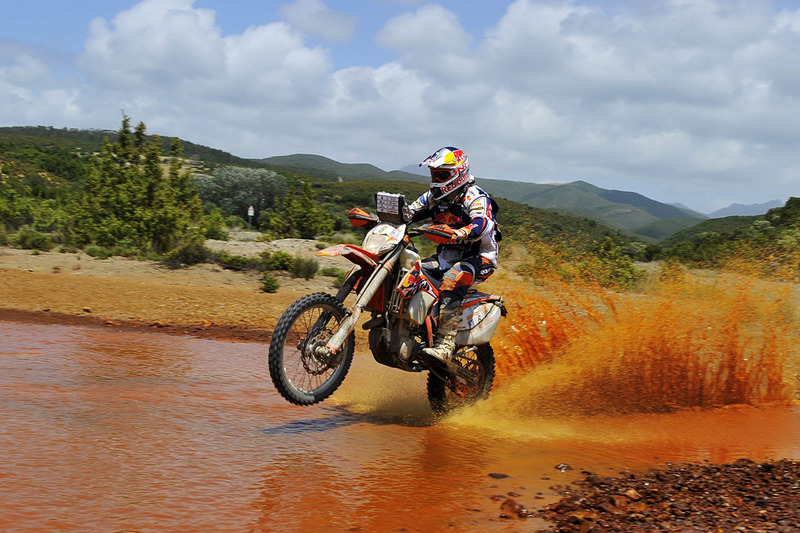 After an enforced injury pause in the winter that kept him out of the Dakar Rally he has made a strong comeback this season by winning both the Abu Dhabi Desert Challenge and the Sealine Rally in Qatar to have a perfect scorecard with 40 championship points.